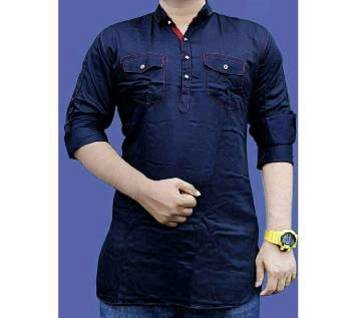 Fotua is a comfortable gents wear for all the people of Bangladesh. They can even be wearing by people of all ages. 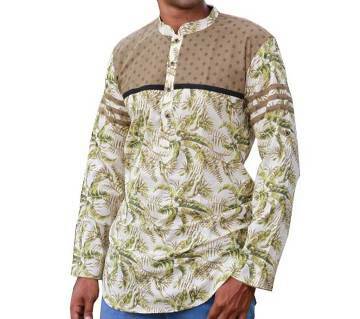 Ajkerdeal.com provides wide range of fotuas & katuas for your comfortable shopping. 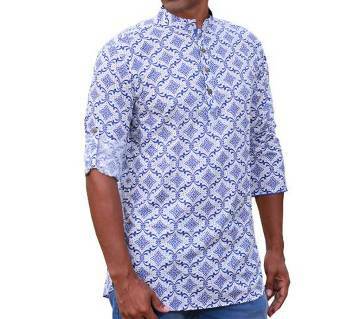 Generally, people wear fotua as casual wearing that can be easily paired up with jeans.Using extra soft cotton, our wide range of fotuas bring together quality and style into one simple piece. They also come with many stylish designs. 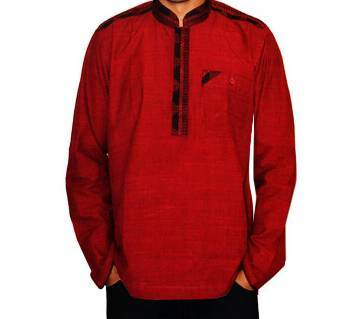 There are also various designs on neck including hi-neck, v-neck, round neck design. 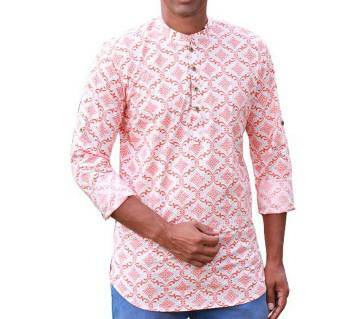 There are also fine embroidery work on neck and collar. A round collar-less neck keeps your chest cool. There are also full-sleeve fotua, three quarter sleeve, half-sleeve fotuas available at our site. 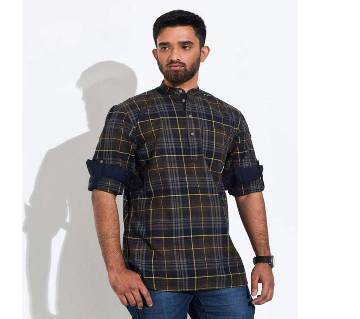 As the climate of our country is very hot, Half-sleeve fotuas are popular for summer season while full-sleeve fotuas are popular for winter or other season. They are available in various colors. We have categorized them into single & multi-color for you to pick the right color. 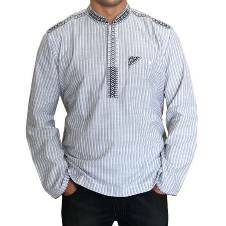 The white-cotton goes with everything, so you can mix and match the pieces with other things in your wardrobe.There are various designs also include checked or striped designs. They are also made from pure cotton material. We also provide various sizes for your comfortable fit. 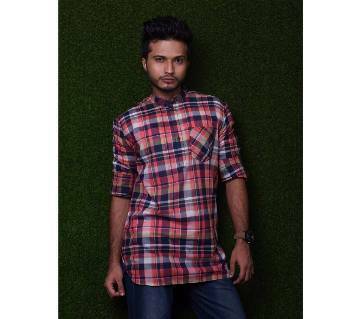 Exclusive collections of mens fashionwear like: fotuas, t-shirts, pants etc. are now available online within your budget. Ajkerdeal.com provides all types of gent’s outfit and other accessoriesat the most reasonable price. Browse through Ajkerdeal.com to get all the great deals and discount offers.